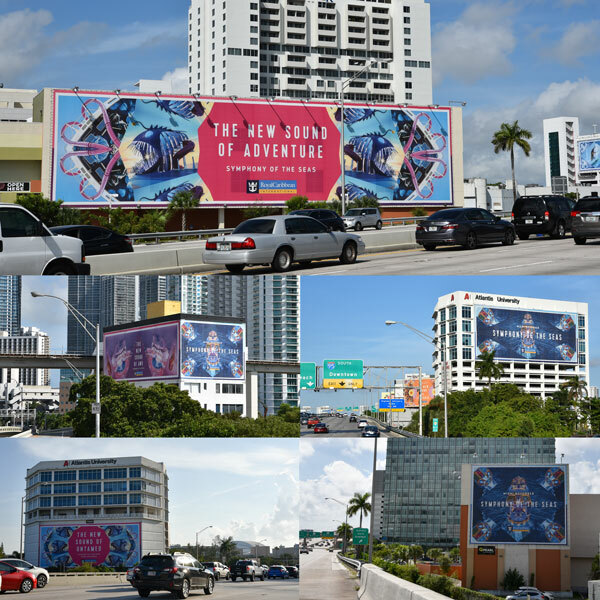 There’s a new sound of adventure cruising through the Miami Dolphin Expressway. Royal Caribbean’s brand new Symphony of the Seas has docked and is now dominating in Miami. You might want to book your next vacation and experience some new sounds of your own after gazing over these colorful wallscapes! Connect with family, friends, colleagues, news, and now a marketplace? Facebook Marketplace lets you Buy and Sell online – all from a convenient place. 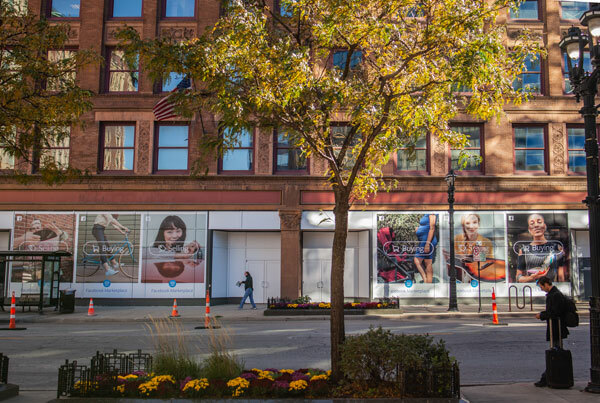 With reminders from our vibrant storefronts in multiple markets, we are sure you’ll find some great products to share with your loved ones! Stare long enough and you’ll think its flowing! 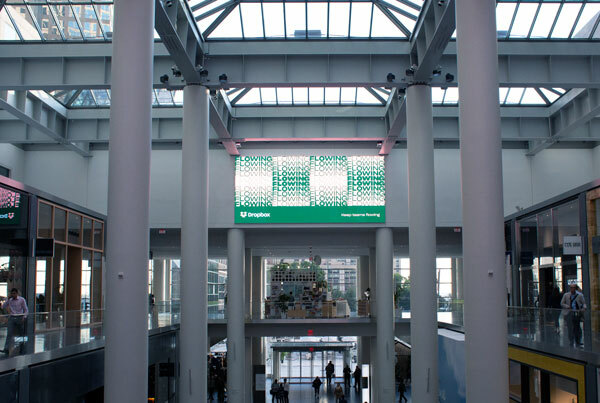 Our bright digital displays in Brookfield Place remind you that Dropbox is a great tool that helps keep your team in the zone. Even if it means adjusting your eyes a bit. 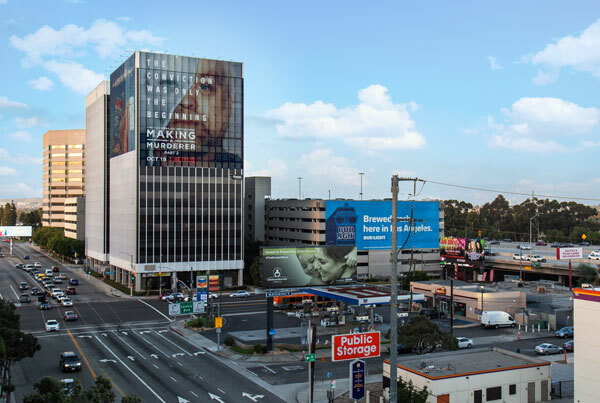 In case his larger-than-life face wasn’t chilling reminder enough on the first posting, Netflix has now added tune-in information to this premium LA wallscape on the 405. If you haven’t watched yet, definitely binge on season 1 & 2 of this true-crime series and find yourself with many questions and even more sleepless nights! 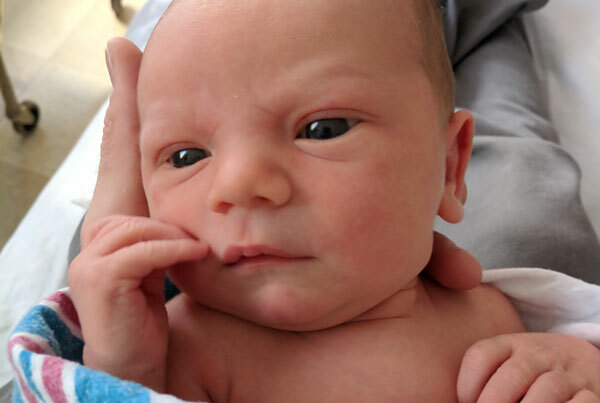 Pearl’s very own MacGyver (our SVP of Production, Daniel Odham) has just welcomed his 2nd baby boy – Mason Lee. If he’s anything like his Dad, we know he’ll be building and climbing just about anything within a couple of months! Congratulations Daniel and family! !